For some clothing, they are made more vibrant and eye-catching when there are several textures and designs, such as sequins, combined to create a unified look. The only problem is, when it comes to cleaning them, it can get tricky. 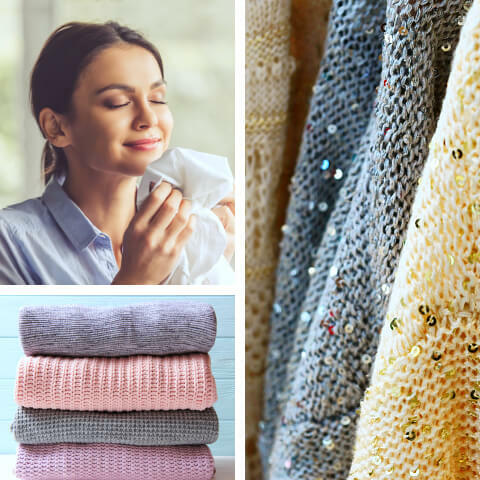 No matter the material and decorative pieces, at ASAP Cleaners your clothing and loved fabrics will be shown gentle fabric care. With over two decades of laundry and dry cleaning experience and handling different material, our Laundry Care in Maryland consistently delivers brand-new looking pieces that are carefully cleaned and safely handled back to their owners and our loyal patrons. Cleaning DIYs are generally okay, but if your new item requires delicate care, time, and a special procedure, you can always leave it to the experts. ASAP Cleaners offers laundry, dry cleaning, and alteration services that will take care of your garment cleaning and restoration needs. Some fabrics may seem like they are stain magnets that not even several washes can get the stain out. For DIY stain removal, directly applying bleach on the stained area can be too harsh on the fabric, possibly leaving that spot with weak threads or fibers. We offer quality spot cleaning and same day drop-off and pick-up laundry services for all your necessary garment needs at an added affordable fee. Over time, materials made out of wool or soft fabrics may tug and pull at the seams due to different washing temperatures that are not ideal for their cloth fibers, especially when cleaning instructions are not carefully followed at home. This can potentially cause some materials to shrink or lose their quality and “fluffy” characteristic. With the right fabric care and cleaning solutions, most fabrics may still get a second chance at getting used again. For damaged zippers and loose garters, there’s always our alterations service. For items that require dry cleaning, they cannot be fully submerged in water and household grade laundry detergents as this will affect their fibers, most importantly, dry clean only items require different cleaning and drying procedures. A preventable disaster you can avoid on your favorite coat to keep it looking at its best. 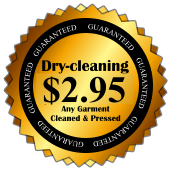 Opt for an expert provider of services on Dry clean in Owing Mills, Maryland. There is always a cleaning solution for everything fabric. You just need the right solutions and the experience to get things done. Drop off your laundry and dry-cleaning with us at ASAP Cleaners for a worry-free and superior cleaning service. We have facilities in Owing Mills, Marriotsville, Pikesville, and Randallstown. To know more about our cleaning services, please call us at 410-356-6889. This entry was posted in Laundry Cleaning and tagged Fabric Care, Laundry Care, Laundry Services. Bookmark the permalink.